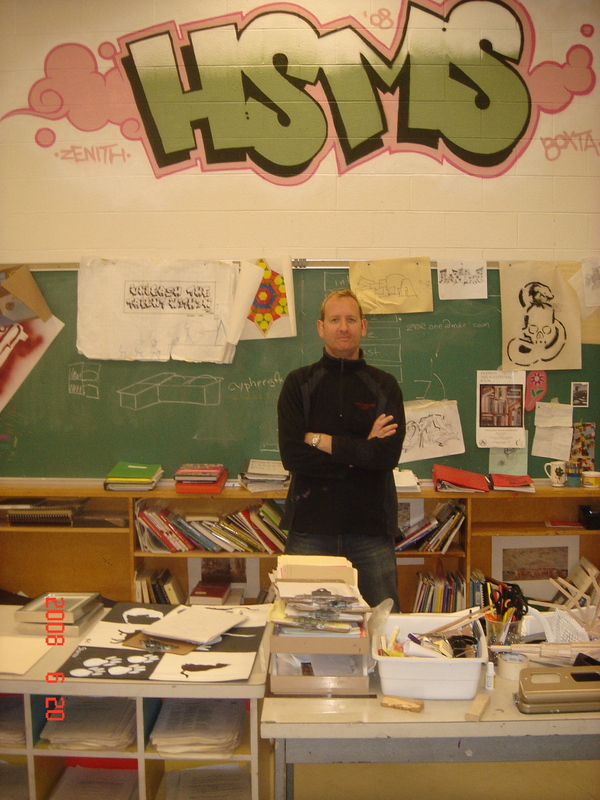 In 2010 the Humber Summit Visual Arts & Community Building Graffiti Program won the 2010 Celebrating Excellence in the TDSB Award for Program Excellence and the 2010 John Mungham Award for Excellence for the Best School Crime Stoppers Program. Humber Summit Middle School is located in Toronto’s North West region and before the establishment of the Visual Arts Program in 2006, the Humber Summit Community Building Graffiti Program in 2007, and the Humber Summit Graffiti Project Facebook Group in 2009, there existed little to no opportunity for students at this school to connect with the community of artists in the GTA or globally. In fact, there was little meaningful exposure to the visual arts at all. As well, the school was in state of crisis and although a competent and professional staff existed at the school, a few crucial pieces of the puzzle had been missing for some time. Once a stable administration was appointed and the Visual Arts Program initiated, both in 2006, we started to see many positive changes. In four years, the suspension rate decreased dramatically, and with tremendous support from the school community, the Humber Summit Visual Arts and Community Building Graffiti Program won two awards and helped to unify a school population around the themes of civic responsibility, excellence and celebration. The Humber Summit Visual Arts Program and the Community Building Graffiti Program were inextricably linked, but existed as two separate entities. The Visual Arts Program consisted of regular classroom instruction conducted during the school day and was delivered to all students from Grades 6, 7, and 8. The program shifted its focus from a traditional ‘fine art’ perspective toward the applied arts, with a focus on design, urban art, public art, and POP art. 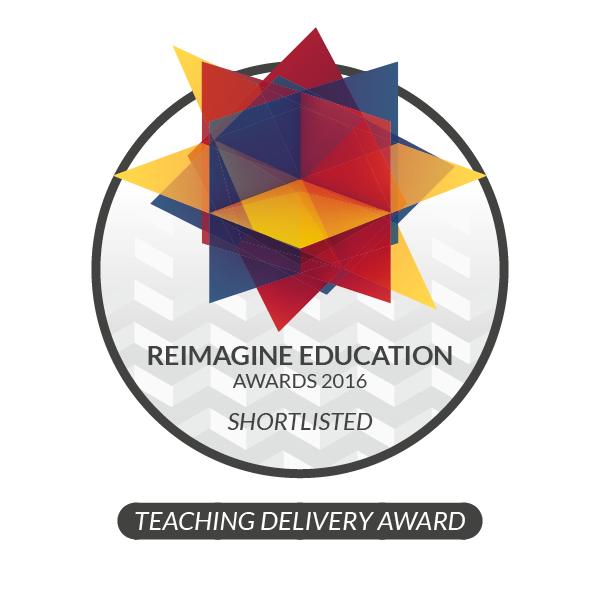 Offered to the entire student population, approximately 300 students per semester, the goal of this program was to engage and help produce visually literate and critically thinking students by the time they graduated middle school. This program was successful by many indicators, including high achievement data, high student engagement and interest, very few office referrals, and a vibrant and exciting classroom environment. 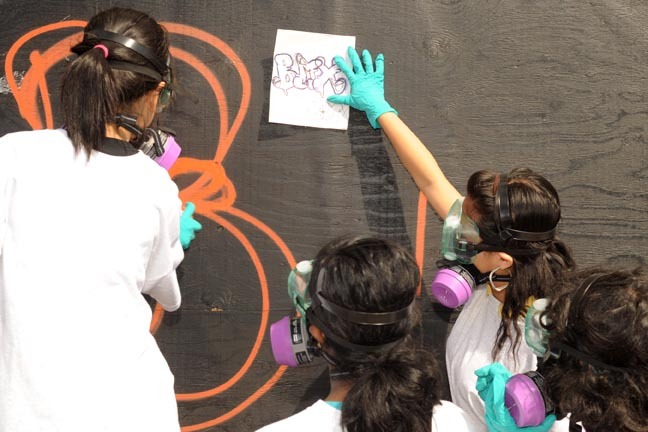 The Community Building Graffiti Program (also the Graffiti Program) was conducted outside regular school hours and as such was an extension of the Visual Arts Program and existed to complement it by providing opportunities for select students to connect with and contribute to their greater community using graffiti art and aerosol art as the main form of expression. Using aerosol art, a select group of approximately a dozen of the hardest working and committed students in the school called the Graffiti Crew (also the Crew) joined other schools and artists throughout the year at events designed to showcase the skills of the varied student performing art crews from Toronto’s North West, including dance crews, singers, steel pan groups and the like. Ours was the only aerosol art crew of its kind anywhere because it was the only crew outfitted with safety equipment that provided almost one hundred percent protection from toxic aerosol fumes. 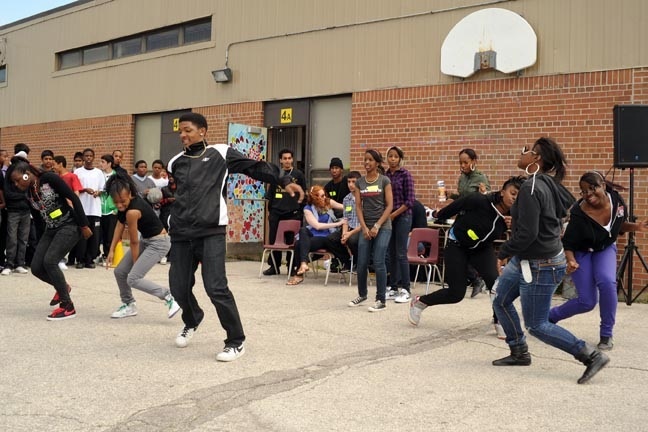 The Graffiti Program culminated in the yearly HSMS Urban Arts Jam, a full day event showcasing select Humber Summit students, graduates and guests celebrating the urban and public arts by spray painting and dancing for the benefit of the rest of the school population. Only two years running, both years were very successful, but the second year was especially, and was host to many more outside community members and partners. Social media was utilized to share and promote the Humber Summit Community Building Graffiti Program and this was difficult to do without promoting as well the Visual Arts Program, the Art Club, the Skateboard Club, and the HSMS Urban Arts Jam. The use of social media was integral to the success of these and as such the Humber Summit Graffiti Project Facebook Group (also the Facebook Group) was a way of keeping more people informed and connected to the activities of the Graffiti Crew and a way to keep a larger and more varied audience included and connected to the Visual Arts Program generally. In the interest of on-line safety, the Facebook Group was a closed group, and therefore members had to be invited to join. The administrators consisted of two teachers, and four students (one from Humber Summit, the other three students were graduates attending three neighboring high schools). By June 2010, the Facebook Group had two hundred sixty members, including students, parents, artists, teachers, and even members of the Toronto Police Service, including Deputy Police Chief Peter Sloly. It included about two hundred eighty links to various resources including websites, blogs, news stories, and a plethora of information ranging from the debate of the value of graffiti art to more general commentaries and stories related to our present popular cultural production. Graffiti is an important art form, and as an art form, can be experienced in many ways. Our study of graffiti culture necessitated our ‘virtual’ and actual travels to locations and stories of artists creating art, both legally and illegally, in our community and around the world. Social media was the tool for reporting about these events, and so in this way it ‘pushed the content’ because the content kept changing within its context. The Facebook Group as an online community kept us up to date on what others were doing, often in real-time, and communicated to our own community the Graffiti Crew’s activities. It also helped our community organize itself in order to meet face-to-face at arts jams and so in this way, our social media community was not simply a virtual one, but an actual one that met from time to time to ‘get up’ at painting events. The use of social media in the context of the Facebook Group was instrumental in keeping the general student body in the Visual Arts Program engaged in their research about graffiti culture and public art, keeping students up to date with current events in the community, and was a great resource that complemented an inquiry based learning experience for all. Because membership was so varied, learning became much more participatory as many students who did not participate directly at these arts jams continually added their own content and experienced the contributions of others. For the Crew, we found that slowly and gradually, we discovered and became part of a global community of socially conscious artists and activists, and this only increased our passion for ‘getting up’ at events so that we could broadcast our contributions to the rest of the on-line community. We were communicating with artists from around the world, and they were commenting and praising the work of this unique crew of young artists, and the art program in general. I would then share this on-going exchange with the rest of the student body using the digital projector in class to replay YouTube videos or to show comments left by artists on our Facebook Group page. This generated more interest and membership numbers started to go up. Because the Visual Arts Program provided all students with a minimum understanding of art and design, most, if not every student, could participate in critiques and evaluations, because their opinions were now based on disciplined and informed critical thinking. As we reviewed the events occurring in our little online universe, the reaction from the students was always one of pride, because they knew they were part of the solution, that none of these events could occur without their cooperation. I firmly believe that it was this sense of pride and achievement, along with a strong administration and staff that led to the school’s turn around, from an often violent and antagonistic environment, to one of respect, pride, achievement, experimentation, and fun. The students at Humber Summit began to think in a much broader context, because they knew they were part of something big, a global phenomenon of public art that was and is now challenging the way we live together in some of the world’s most exciting cities. Social media brought this world to an otherwise easily forgotten part of Toronto.